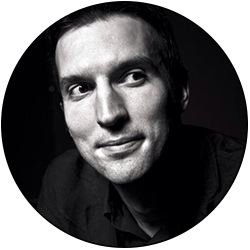 C’est hype, c’est typographique, c’est Hyperakt ! 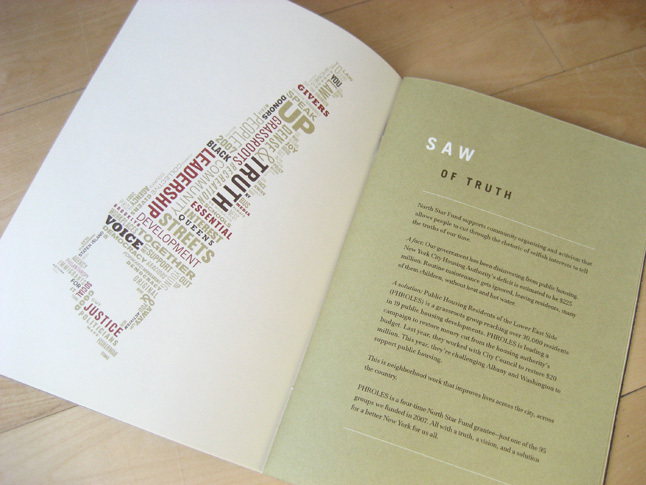 Hyperakt has been charged with unifying and strengthening North Star’s branded materials. 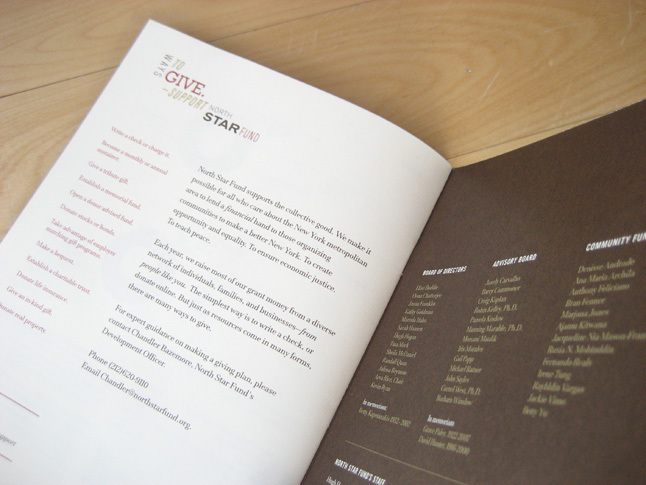 Each new North Star piece, beginning with their 2007 Annual Report, conceptually conveys the organization’s inspiring devotion to civil rights. 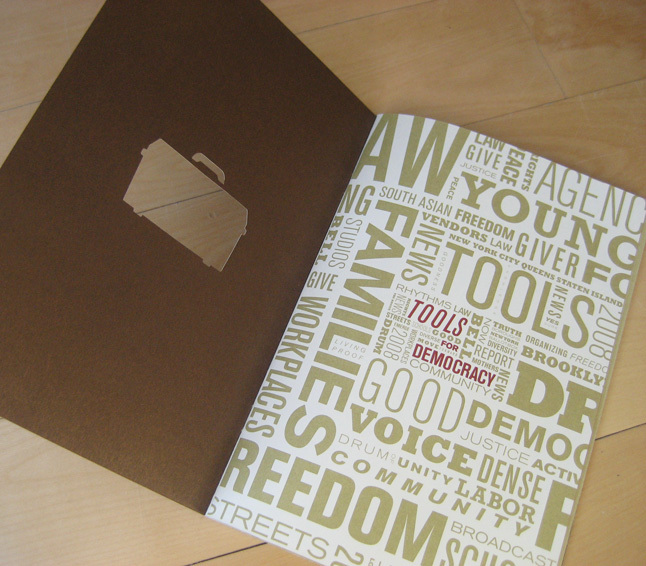 The “Tools for Democracy” report includes typographic illustrations made from the ingredients necessary to build and maintain a democratic society. 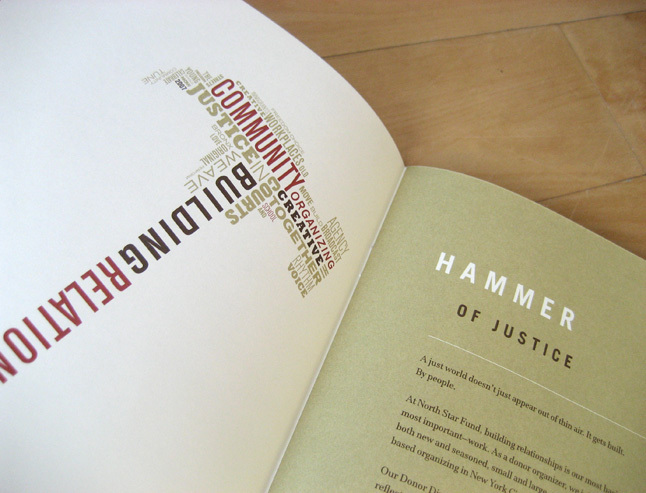 From front to back, the themes of freedom, justice, truth and unity are highlighted, bringing the organization’s strength and character into sharp focus.